We reported yesterday that according to Michael Schenker’s web site, Don Airey is to join his band for the UK tour. We have received a message from Don himself that this is not true. He is NOT touring with Schenker. End of story. We sincerely apologize to everybody for spreading disinformation, albeit unintentionally. 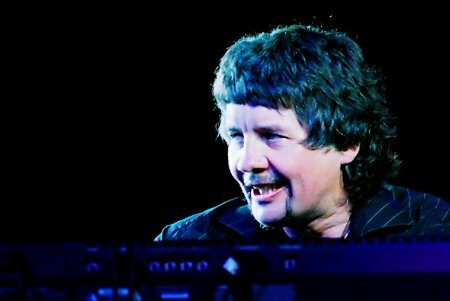 Thanks to Don Airey for setting the record straight. Posted by Nick Soveiko on Thursday, December 13th, 2007, filed under News. You can follow comment on this post through the RSS 2.0 feed. You can leave a comment below, or trackback from your own site. Just as I thought…..”can´t be right”??? Unless you´re masochist, why would Don or anyone in his right mind tour with “Mad Mickey”??? Also just to confirm, I didn’t win the lottery last night, Jose Mourhinio will not be the next England manager, I am not going for a date with Paris Hilton at the weekend and my socks still aren’t dry! What’s wrong with Don? Didn’t he always do everything with everyone? So I`m looking forward to hear some new songs when DP visit germany in summer 2008. It will only be a matter of time before Simon Phillips and Neil Murray both advise they are not going to tour. Micheal Schenker has turned into a train wreck artist just like Britney SPears has turned herself into in America. So how did this all get started? It was too good to be true… Let’s hope Michael gets back on track. Where is Mo Foster on bass? Please let it be 1980 again…………. Agreed Markus. It is a really good decision by Don. Deep Purple are playing so good right now, that I think it’s important for them to work on a new Deep Purple record. Very smart decision by Don. I was shocked to read that Simon Phillips will tour with Michael, as he is way too busy with Toto. This all sounds like uncomfirmed hype. Michael is a fantastic guitarist, but can’t keep his bands together it seems. Maybe there could be a couple of replacements: Ritchie Blackmore & Ronnie Dio. I´m sure noone would refuse to tour!